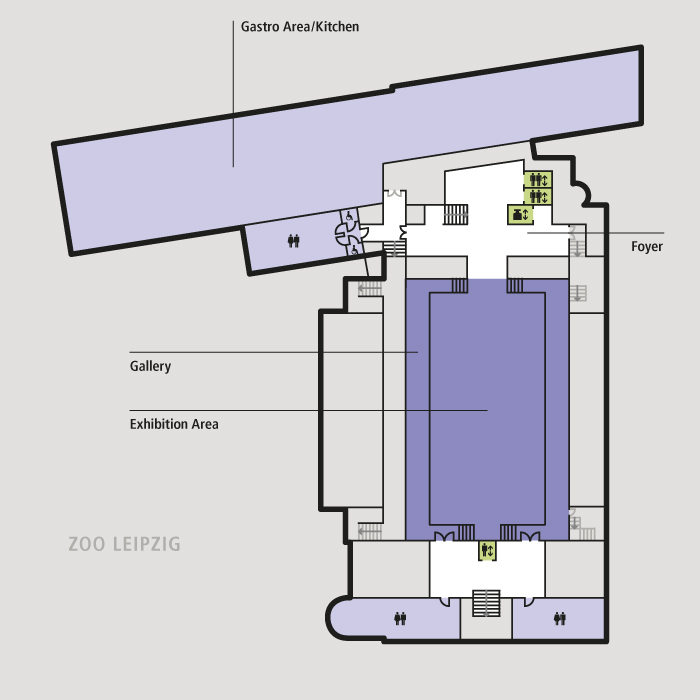 The Exhibition Area or Expo links the north and south wings of the Kongresshalle. 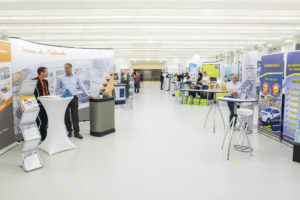 This area of approximately 600 m² is designed specifically for exhibitions and presentations that accompany congresses and conferences. 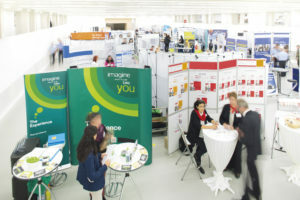 The gallery, which runs all the way round, offers an excellent view across the exhibition area. 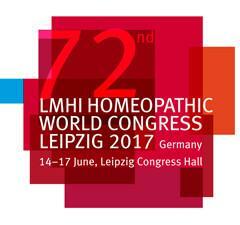 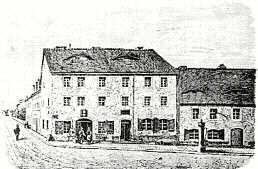 It will be used for the exhibitions “The Life of Hahnemann” and “Homeopathy in the GDR”. 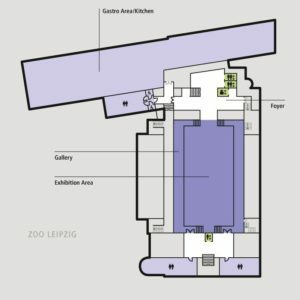 The overall look of the exhibition space will not be disturbed by any pillars or bevels. 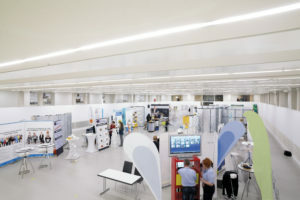 All toilets and washrooms for the congress participants are located on the exhibition level. 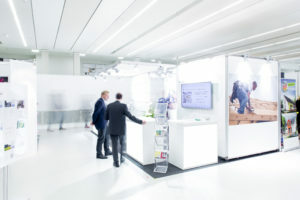 A goods lift links Expo to the delivery zone.